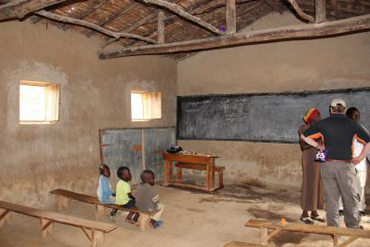 The Gardienne Primary School, Rulindo was a tiny school with around 100 primary age children. 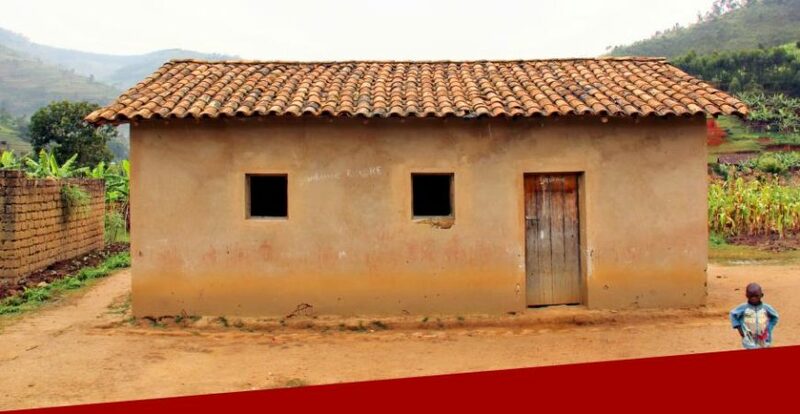 The single classroom building was rented, had just a blackboard, some chalk slates and one teacher holding separate morning & afternoon lessons, trying to bring education to local rural children. Families were asked to pay a nominal fee for their child’s attendance, but this often wasn’t afforded by families living in poverty. In 2012 PF offered initial funding support and in 2013 the obvious need for a better school was accepted by the local district who took over. 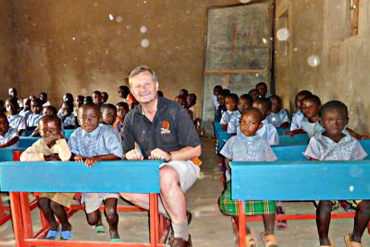 Funds built 36 double school desks as children had only benches to work on. PF subsidised the teacher’s yearly wage to support her as no funds were coming into the school. 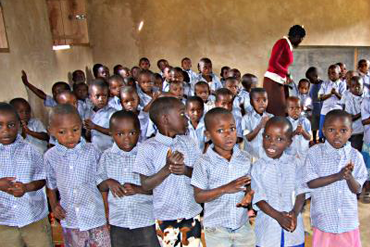 School children in Rwanda must wear a uniform, but few parents could afford it. PF bought uniform shirts for all pupils. 100s of exercise books, pencils and reading books were provided by donors as there were no learning materials at all.